You rely on your vehicle to get you here, there, and everywhere safely, but when’s the last time you really took the time to take care of the little details? 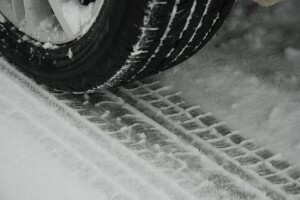 Things like windshield washer fluid can seem unimportant until you find your visibility challenged by the buildup of dirt and snow on your window while driving down the highway. Check all fluid levels. Make sure that you are using the proper oil grade. Do you need to add more windshield washer fluid or antifreeze? Are your lights, including brake lights and turn signals, working properly? With the uncertainty associated with winter weather conditions, it is a good idea to try to keep your gas tank at least half full at all times. Keeping more gas in your tank helps minimize condensation and gives you more heat and power in case of car trouble. Stay safe on the road this winter! If you or a loved one has been injured, contact the Schuerman Law office today. Schuerman Law has been working with personal injury claims for over 40 years. John Schuerman will compassionately advocate for injured individuals as well as their families while fighting for full compensation of their claims. Schuerman Law offers evening and weekend appointments in addition to home and hospital visits. Schedule a free consultation today by calling 1-800-274-0045.